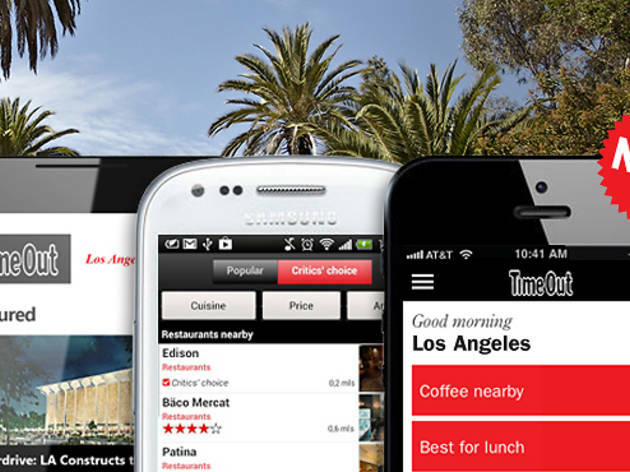 You already can't spend half a lunch break without your smartphone, tablet or other rectangular gizmos of the modern age, but why would you when the key to mastering all of the great things to do in Los Angeles lies within the click of a 'download' button? 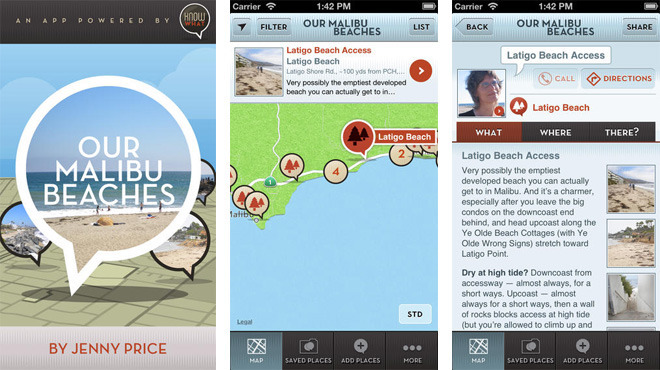 Look no further for the top 13 apps every Angeleno simply must acquire for everything—for navigating the most secluded public beaches in LA and beyond, finding the nearest farmers' markets, and snagging cheap eats. 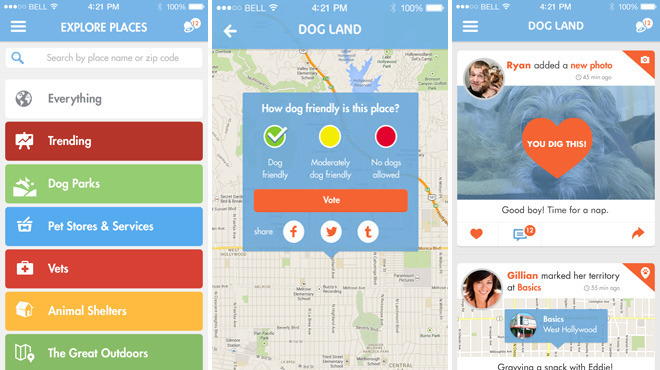 You can even hook up with LA's dog-lover community (yes, they've invented social media for non-human species). You should probably start preparing your storage settings now. Any sunbather who's ever taken a Frisbee to the forehead amidst the masses at Venice Beach knows that finding a quiet stretch of seaside in this city is a priceless thing. 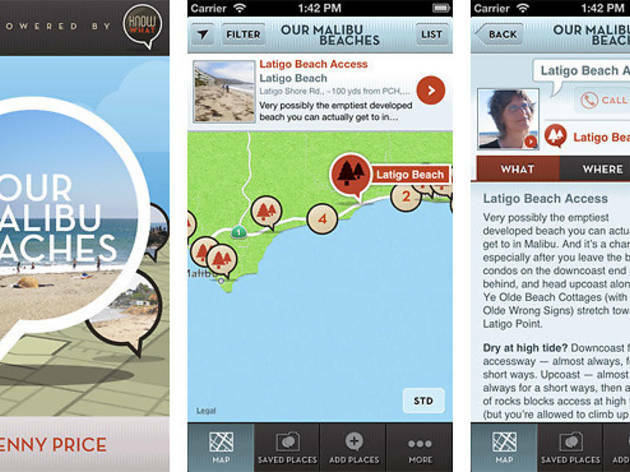 Thankfully, this streamlined app provides maps, instructions and underground tips to accessing the most peaceful public beaches along the 20-mile Malibu coastline—many of which look off-limits to the general public. Our Malibu Beaches informs us that "there’s no such thing as an all-private beach in California," and, in the spirit of cashing in on our Golden State rights, this treasure map beckons you to browse the x's that mark the spots. Tap the tree symbols for photos of each beach, advice on how to find hidden entryways, the scoop on which "No Trespassing" signs are legal to ignore and other inside info. 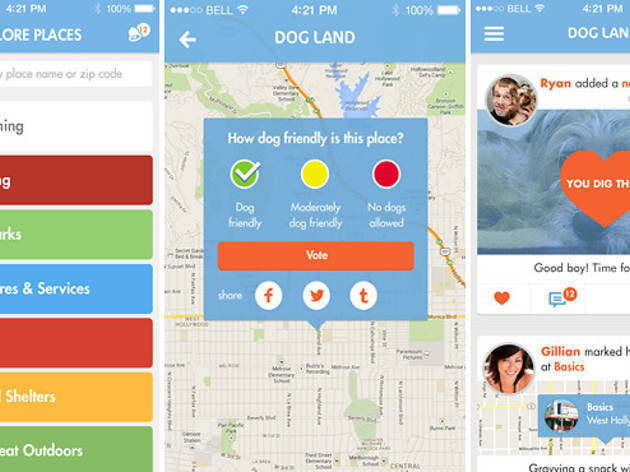 Angled at Angelenos who thrive amongst the four-legged, this social networking app allows you to search and rate local dog-friendly restaurants, parks, apartments, hotels and other businesses, all the while connecting with fellow pooch enthusiasts. Browse "paw ratings" of trending veterinarians in the neighborhood as you "mark your territory" (the canine equivalent of "checking in") at your favorite holistic pet store. Post a photo of you and your rescued Pomeranian mix and you might just attract a pup-owning neighbor or two for potential play dates or dog sitting. The app is free and the reviews under its former name, Where My Dogs At, were extensive—as it turns out, puppies and the Internet go very well together (a surprise to no one). 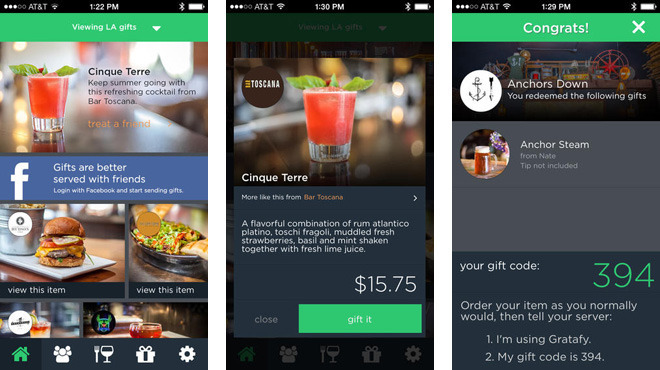 Available only in Seattle and our fair metropolis, this unique app (Android link) allows you to send virtual gifts to friends and coworkers in the form of menu items from restaurants and bars around LA. Here's how it works: You start by surfing through the lip-smacking roster of drinks and foodstuffs found throughout the city, from wheat beers at Little Bear to plates of jalapeno mac and cheese at The Hudson. Then, you choose an item and a recipient, pay through the app and the lucky giftee will get the message via Facebook, email or text. 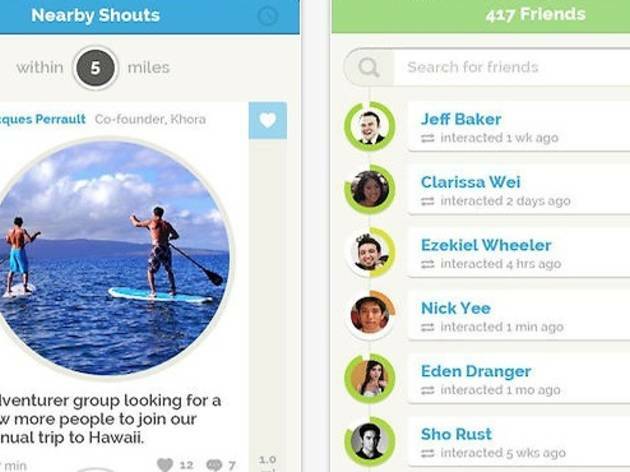 You can also connect the app to your own Facebook profile to see which of your friends have upcoming birthdays—this way you can buy them drinks without having to schlep all the way to the Valley for their Wednesday night soirée. This thing is perfect for gifting at the last minute, from out of town or for when you're held up at work and can't make it to your buddy's bachelor party. Plus, the download is free. Crafted by the same network as Our Malibu Beaches, this informative tool guides urban supertramps across a map of worthwhile hikes in Southern California. Tap each of those familiar tree symbols to find images of the terrain, info on mileage, elevation and crowds, as well as thorough descriptions of the experience on each specific trail. 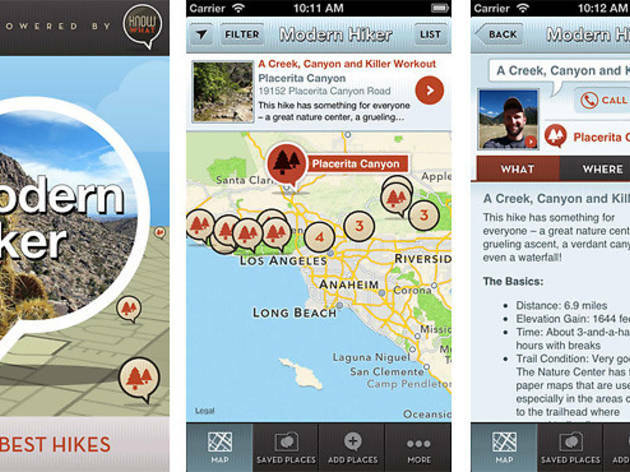 The app details an eclectic range of hikes within an hour's drive, from reports of Studio City's Fryman Canyon as "Runyon without the crowds" to the skinny on rustic excursions throughout the Santa Monica Mountains. 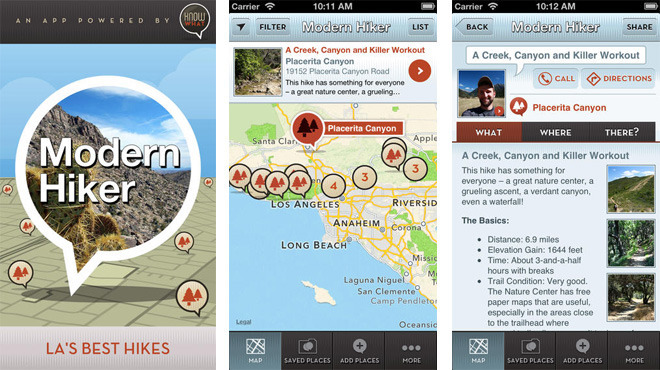 The app costs $1.99, weeding out any freeloading outdoorsmen. This basic but handy service allows you to navigate the 120+ farmers' markets throughout LA (which, predictably, is the city with the most markets in California by a long shot). The app is statewide, but you can filter by city and day of the week to locate farmers' markets, big and small, across any and all LA neighborhoods. Click each pin on the map to find schedule information, directions and a link to the market's website, if it has one. The app doesn't provide photos or reviews, but at this point, we Angelenos know what to expect from events of this sort—organic kale, artisan shortcakes, fresh-cut hyacinths—we're well-versed in the typical goods. 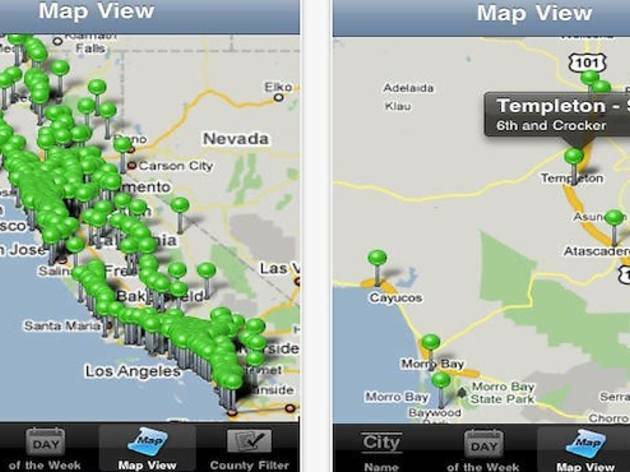 This convenient tool simply shows us where and when to find them. 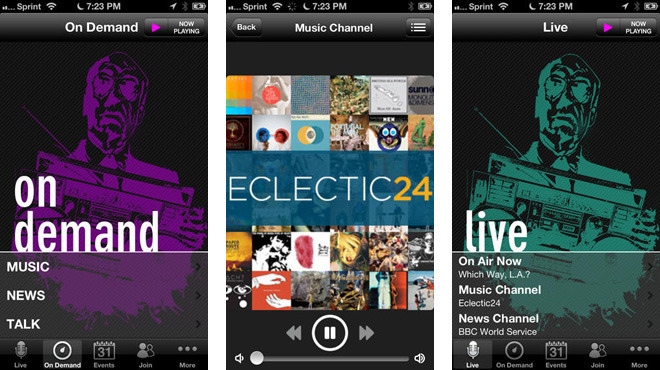 For 99 cents, you can livestream all three KCRW (Android link) channels—On Air, Music and News—directly from this Webby Award-nominated app. Listen to the beloved station's eclectic programming and tunes in real time as the names of artists and songs pop up conveniently on your screen. 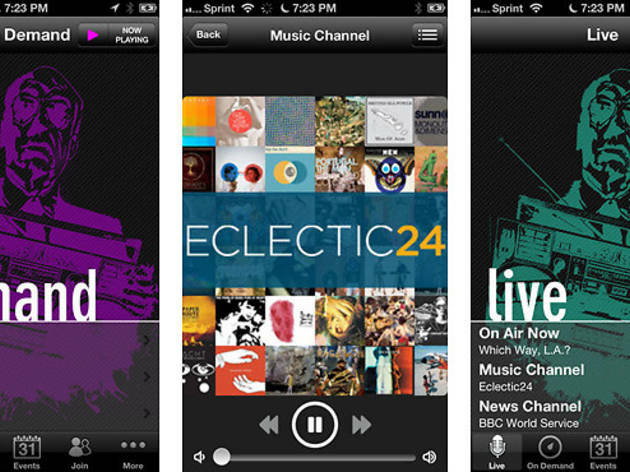 Or, choose from more than 50 on-demand shows from each program for an audio marathon (an exclusive privilege to app users). Bookmark song titles from the station's tracklists, so you can remember your favorites and share them later; once your buddies receive an email from your KCRW Radio playlist, your app collection is bound to get some serious cultural cred. 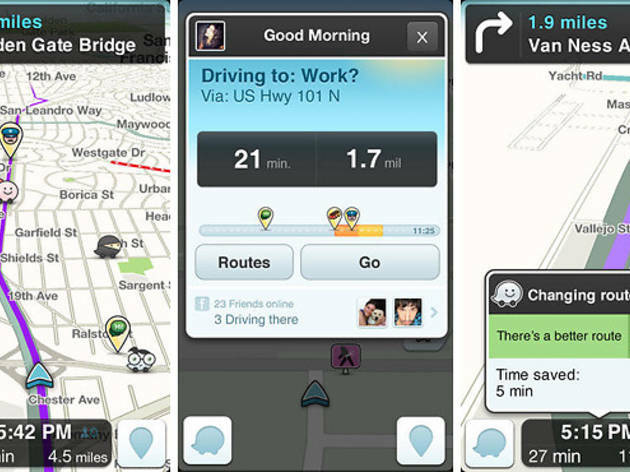 Maybe this community-based navigation app (Android link) isn't news to you, and it may not be exclusive to Los Angeles, but our traffic-centered lifestyle renders Waze particularly crucial. 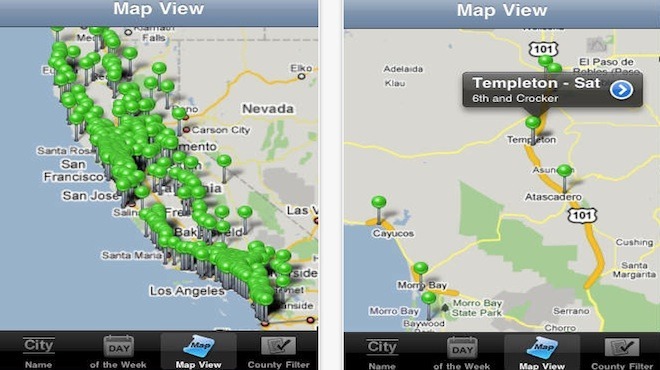 What makes this free app popular, and rightfully so, is its skillful use of crowdsourcing: users report traffic jams, roving police officers and accidents from their car to the app in real time, and this collected information helps reroute you to a faster path. What follows is typically a pleasant excursion down unassuming side streets, some of which you may have never considered, but all of which get you from your office in Brentwood to your home in Marina del Rey twenty minutes faster than the wreck-laden 405 would. 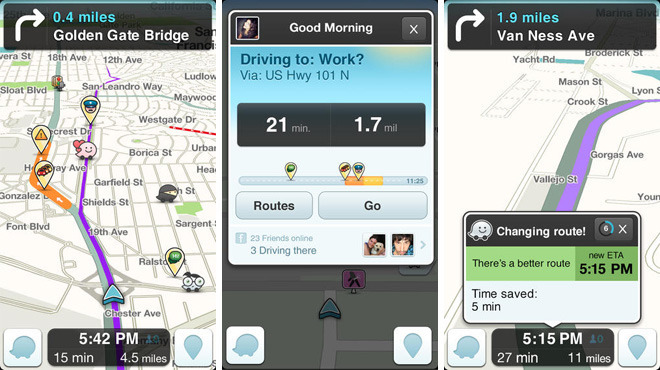 Ultimately, Waze combines an accurate, detailed layout of LA roads with invaluable live tips from drivers (whom the app rewards in points), all within a user-friendly interface that won't distract you behind the wheel. You'll end up with a quicker commute every time, as well as an undeniable sense of schadenfreude as you whiz past the crowds. 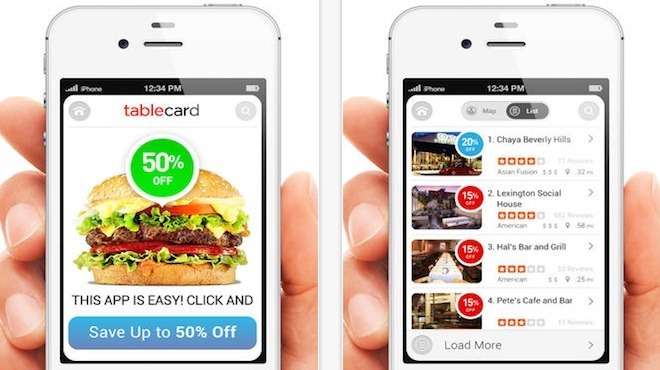 This accessible restaurant discount app (Android link) will satiate both your desire to avoid cooking and your goal to be less broke. Scroll through participating bars and restaurants in the LA area by neighborhood, price range, cuisine or discount rate; local partners include The Pie Hole, Magnolia, Chaya Downtown and Chaya Brasserie, among others. 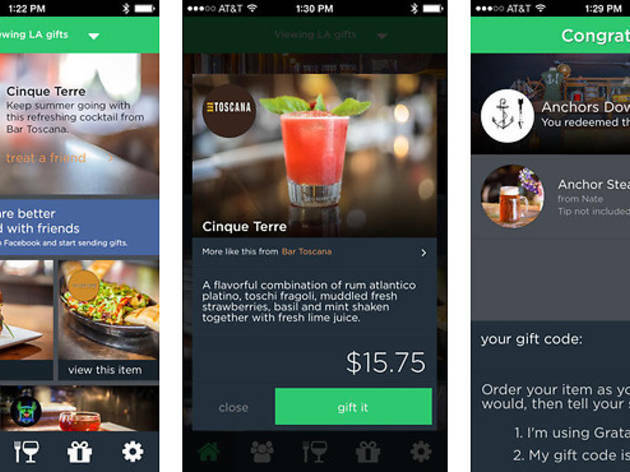 Once you arrive at the eatery (or drinkery) of your choice, simply check in on the app, show the discount screen to your server before you pay and bada bing—you'll receive 15-50 percent off your meal (the average discount is closer to 15 or 20 percent). 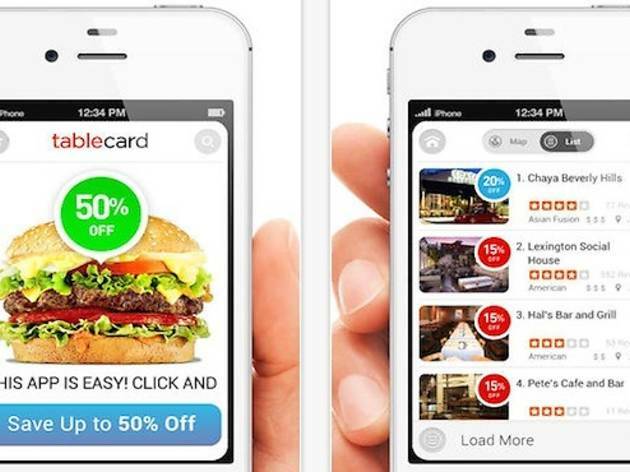 The app is free to download, free to use and the deals never expire; it's a no-brainer for any hungry and budget-conscious Angeleno. 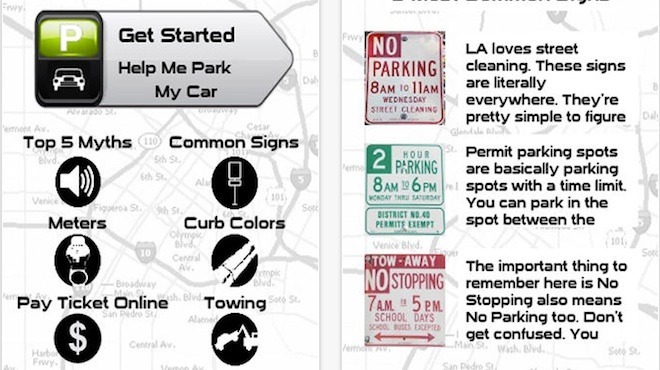 The bane of every LA driver's existence is to receive a parking ticket due to misinterpreting some impossibly confusing sign. Park Safe LA understands this common but no less passionate frustration, and strives to help you. 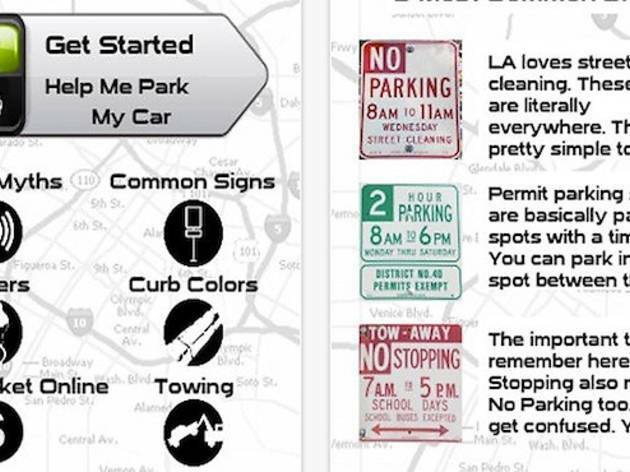 This free app provides a step-by-step breakdown of perplexing parking signs and seemingly contradictory multi-sign parking spots, so you can leave your car without the anxiety that an unholy paper beast will appear on your windshield when you return. You'll also find guides to meter rules, curb colors and advice on towing. The app's somewhat rudimentary design need not alarm you—once you save yourself the trouble of a $100 fine, this simple survival guide will look plenty fancy. 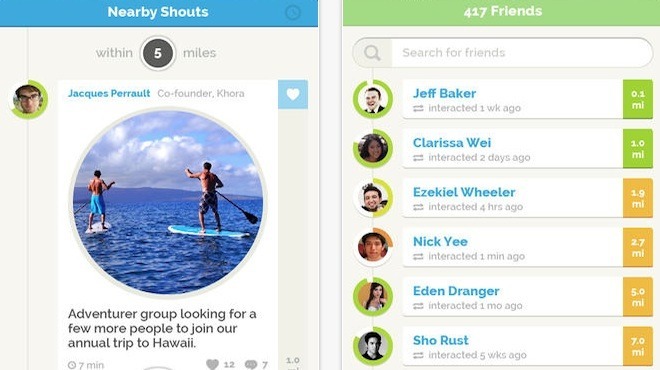 If you're into the idea of social media—as in, sharing what you're up to and connecting with like-minded people—but prefer to keep it low-key, this interactive app is a cool and slickly designed option. Without having to endure the social stresses of racking up "followers" and "friends," At the Pool shows you "shouts" (photo and text posts) from Angelenos in your vicinity. Examples might include someone sending a shout from their favorite local happy hour or posting a photo from the beach and asking if anyone in the area would be down to catch a wave. Like having a public Instagram, members are free to "like" or comment on any post. Fundamentally, the app is a fun and casual way to share how you're spending your time in LA and to find friends with similar interests in a city where that can often be a challenge. Every aspirant you see feverishly birthing his next script via laptop at Coffee Bean can now opt for a scriptwriting tool that's less expensive and more convenient. 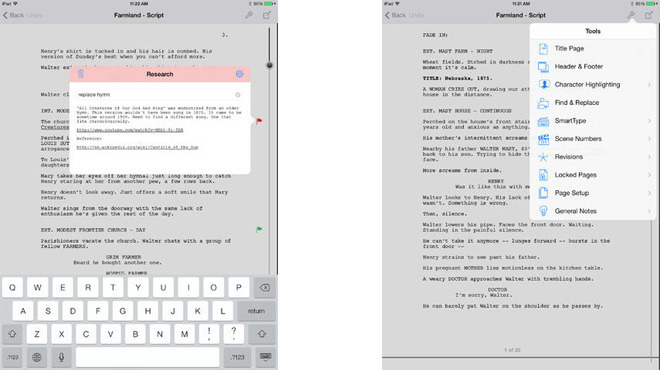 Final Draft Writer for iPad now offers its premiere screenwriting software to a modern film community that likes to type just one finger at a time. With the $29.99 app, you can create new, professionally formatted screenplays and edit existing ones within a streamlined format that lets you make changes quickly. 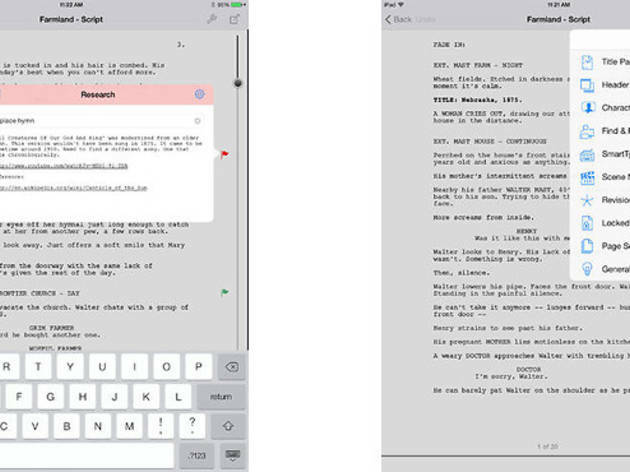 The app allows you to switch smoothly between revisions as well as add, edit and categorize script notes (among dozens of other handy features). And while Writer might not entirely replace the $199.99 laptop version of Final Draft 9, there's something special about the ability to make quick changes to a script while on set or on the go, without having to whip out a bulky laptop. 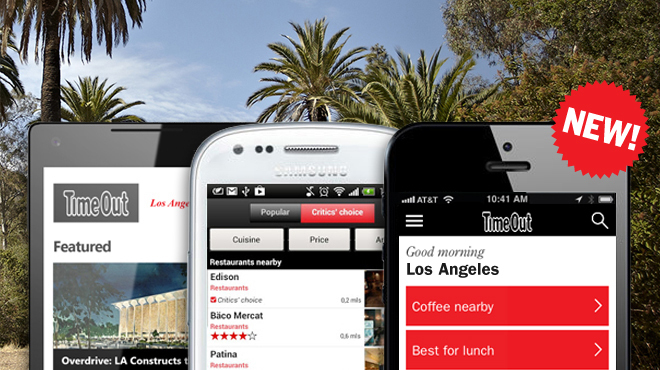 This 2013 Webby Award winner provides a one-of-a-kind restaurant guide driven by the tastes of professional LA foodies. 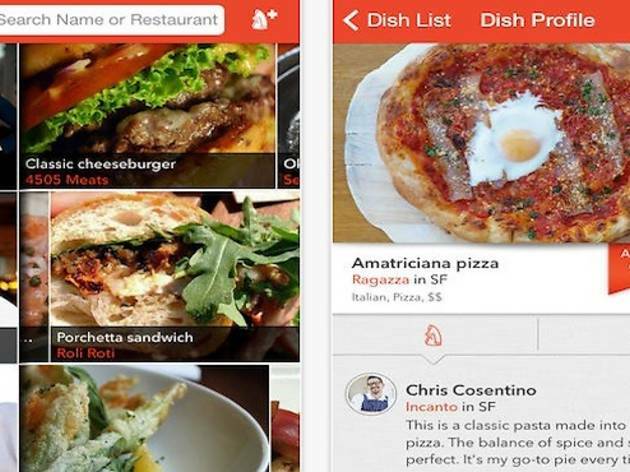 Reminiscent of a chow-centric Twitter, Chefs Feed allows you to "follow" posts from local chefs, including Eric Greenspan of the Foundry and Josiah Citrin of Mélisse, for an inside look at their favorite dishes around the city. Ever wonder where Ford's Filling Station chef Ben Ford loves to go for Japanese? Or how The Spice Table's Bryant Ng satisfies his sweet tooth? 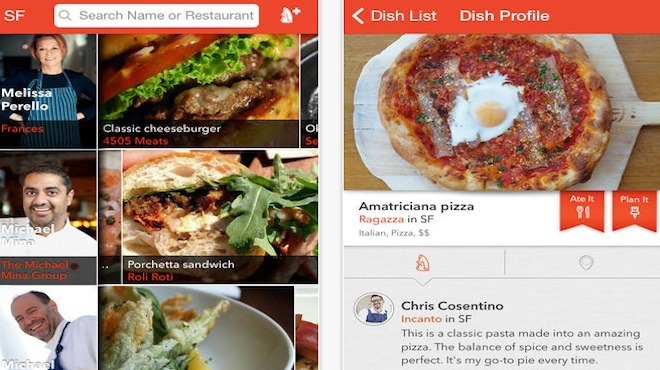 Regular updates from over 65 LA chefs offer the most valid restaurant recommendations you can get, far-beating the crap shoot of Yelp reviews.